The inspiration for these stars is taken from some large metal stars that I spotted in a reclamation yard—rusted and weathered, but beautiful nevertheless. Ours are made from mirrored card but old greeting cards would work extremely well here. This star can be hung individually on a Christmas tree or make several and hang at different heights in a cluster at any time of year, party or no party. Position one of the Scored Star templates on your chosen card and draw around it with a pencil. 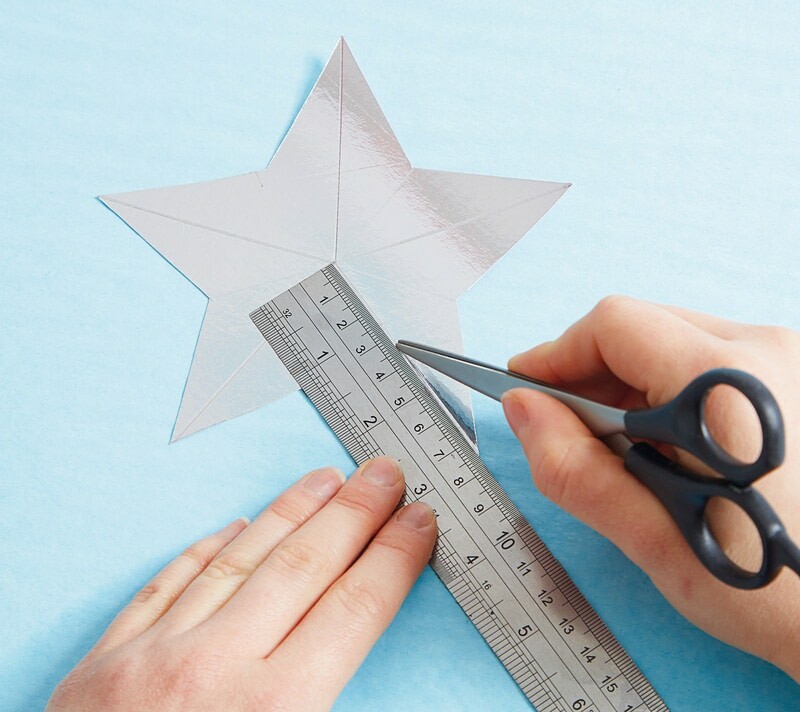 Repeat if desired and then cut your stars out, using either scissors or a craft knife. 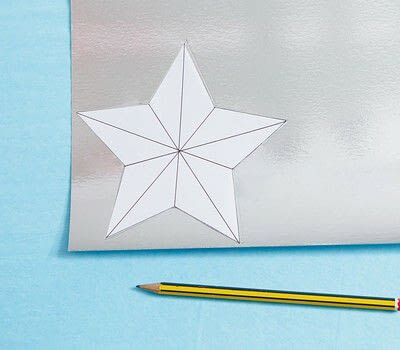 Turn the stars over and, following the template, use a metal ruler and pencil to drawn the straight lines from the points to the center on the back of the star. 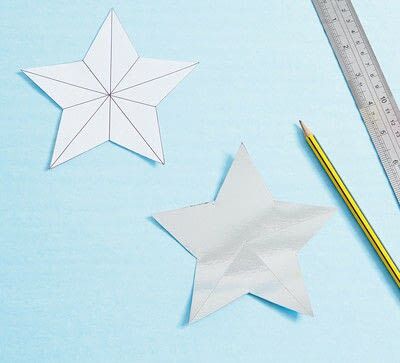 Make sure your lines meet exactly at the mid-point of the star (otherwise you’ll lose the crispness of the form). Turn your star over and lightly draw in the shorter lines, from the inverted corners to the center. Take your scissors or scoring tool and metal ruler and start to score along your longer pencil lines. 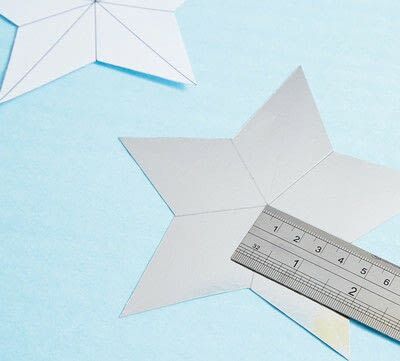 Do this with a little pressure, but not so much that you will tear the paper or card. Turn over and repeat on the shorter lines. Using a little force with your fingers, squeeze and fold either side of one of the longer scored lines so that they are pushed backward. Do this on all five points. Then turn over and repeat on the shorter lines. 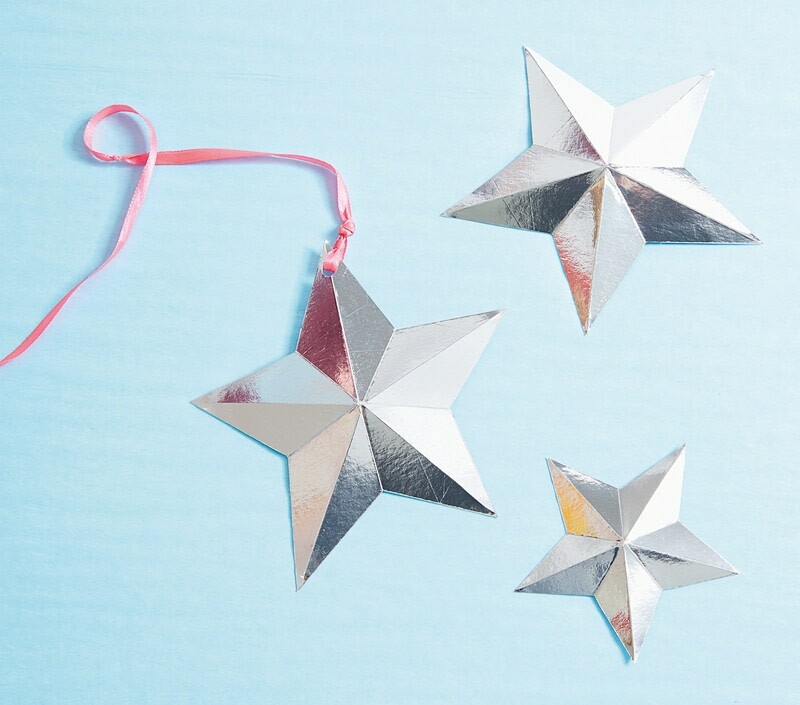 To hang the star, punch a small hole at the top of one of the star’s tips and thread through your ribbon. 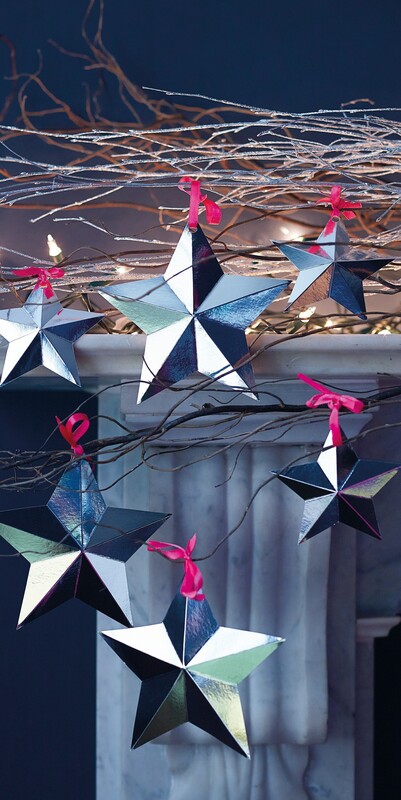 A mixture of large and small stars looks good when hung as a display.